Meet my dog Enzo. He came to me from fellow racing family in California. The poor little guy was the only survivor after his entire family had been hit by a car. He was found all alone by the side of the road. My friend Brandi had posted pictures up on Facebook of this dog that needed a home. He looked like a black lab and you could tell he was going to be a big dog. It was looking bad for getting a home for him so I expressed some interest. My mom was able to fly to California and bring the little black ball of fur to Arizona. When I picked him up at the airport I fell instantly in love! He was this little fluffy ball and he just curled up in my arms! Yes he was working it! I guess I should tell you where his name came from. I named him Enzo after the dog’s name in a book called “The Art of Racing in the Rain” by Garth Stein. You can find it HERE. It is one of my favorite books. He goes with me just about every where so having the skills he learned from school has helped with the travel aspect. When he can’t go with me, my parents watch him. 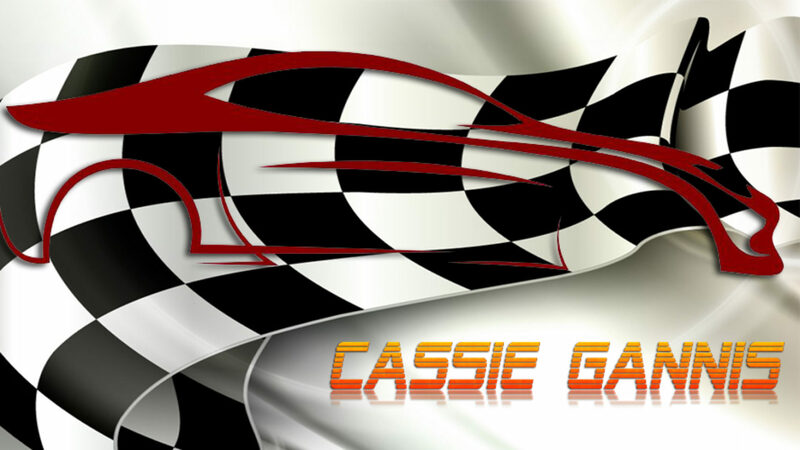 Be sure to sign up for my network updates on Cassie Gannis “Behind The Shield” where I share what really drives me to want to be one of the top female race car drivers, and a friend to all human and creatures of the world. So sign up today below this post you will find a location to enter your name and email, and I will be reaching out to you with the Real Truth in my updates with my Inner Circle and Network of Friends. Cassie Gannis – Race Car Driver, Animal Lover, Vet. Tech. Often my sponsors allow me to share specials with those of you who sign up for my updates. Most of these specials are so fantastic that you can’t find them anywhere else, except right here in the Cassie Gannis Network of Friends. He looks adorable. Bless you for rescuing him and giving him a wonderful home. I look forward to seeing more about Enzo. Thank you very much for your note Peggy. He is truly a great dog and special in my heart. Thank you Peggy! I call him “My Love”. Attending The Great American Truck Show this Weekend in Dallas! Excessive Heat Can be Dangerous: What You Need To Know! Cassie Gannis on Legend Driver Cassie Gannis Wins Rookie of the Year!